Though there are a number of activities that we can do to manage our stress, there are times when we need to seek help from professionals. These experts can help us deal with specific problems that are a direct result of the stressors in our lives. If we are experiencing medical symptoms such as headaches, heart palpitations, digestive problems, or severe skin reactions, seeing a doctor who can treat those conditions can make us feel more comfortable. That, in itself, can remove some of the stress and worry from us. Even if we don't have identifiable symptoms, having a physical exam is a good thing if we have been under stress for a long period of time. Silent diseases, such as high blood pressure, can be detected. We can get them under control while we work on managing our stress. Our doctors can also offer suggestions for other ways to cope with stress. They sometimes recommend yoga, massage, and even biofeedback to their patients who are under severe stress. Because our doctors can offer an impartial view of our situation, they can sometimes provide insights into what our needs are when we may not see them. Sometimes, doctors will prescribe medications to help us sleep or to help us cope with anxiety or depression. Anti-anxiety medications, however, are very powerful drugs and should only be used when medically warranted and supervised by a doctor. One thing we might also consider is seeking help from a mental health professional. That does not mean that we have a serious mental illness, we just realise that we need someone who can help us understand what we are experiencing and who might be able to offer new stress-relieving techniques. There are a variety of different mental health professionals who we can choose to seek out. Most often, we think of psychiatrists and psychologists. 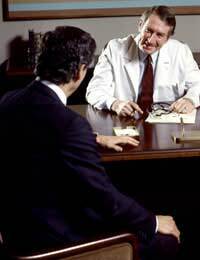 A psychiatrist is a medical doctor who specialises in the mind and, therefore, can prescribe medications. A psychologist should have an advanced degree, such as a Ph.D., an EdD (Doctor of Education), or a PsyD (Doctor of Psychology), but is not a medical doctor. Both are legally licensed. Another group of professionals are marriage and family therapists. These professionals may have advanced degrees, usually at least on a Master's level. More importantly, they have specific training in family therapy. Professional counsellors, such as substance abuse specialists, are trained in supportive therapy. They deal with changing behaviours, but do not treat mental illness. Other types of behavioural counsellors can offer support and suggestions for coping with stressors. Finally, clergy can offer pastoral counselling. They may have advanced degrees and have additional training in therapy, especial family and marriage counselling. Some clergy, however, do not hold advanced degrees but have the capacity to listen without judgement and offer suggestions. Pastoral counselling usually has no cost. Sometimes, other professionals can offer their expertise in a specific area. For example, an expert in biofeedback can help us learn to consciously control our heart rate or blood pressure when we are stressed. A trained hypnotherapist can help us practice self-hypnosis as a means of coping with our stress. Finally, a life coach or mentor, though they may not have advanced degrees, may be able to help us organise, set goals, and give us suggestions for balancing our lives. Life coaches can provide resources and information, usually by email or over the phone. Since they are dealing with the managing and organising parts of our lives, we can often see results quickly. However, these experts cannot deal with deeply rooted emotional problems. One of the best places to find out who is the best professional to use is to ask our friends, relatives, clergy, and doctors. Sometimes, employers have Employee Assistance Programs that offer counselling at little or no cost. If we need a referral for insurance purposes, those usually need to come from our doctor, though they can often be guided by our preferences. Whoever we choose, we should make sure the professional is ethical, keeps our information confidential, and respects our boundaries. Most importantly, the therapist should be warm, genuine, empathic and hopeful. Whenever we need to reach out to a professional, we should seek one who can provide the type of help we need in the specific area of concern we have. We will then have the tools to manage our stress and find more balance in our lives.